As the capital city of England, London has the largest population, which stood at 8.2 million in 2011; a 12% increase in the past 10 years, and the highest rise of all the UK. Out of the 20 most crowded local authorities in the country, 19 are in the capital; and the most densely populated borough of all is Islington, with 13,873 people per square kilometre. The average age of a Londoner is 33, 6 years younger than the national average. This is probably due to the nature of employment: graduates head to London to work for a few years, before leaving to settle down. Whilst the highest number of people between 25 to 34 live in London; the biggest increase has been the under 5s, increasing by 24% in the past 10 years. London has the highest number of people educated to degree level at 38%, due to graduates flocking to the city. London is perhaps most well known as the "City of Finance" with 326,000 jobs in that area in 2004. 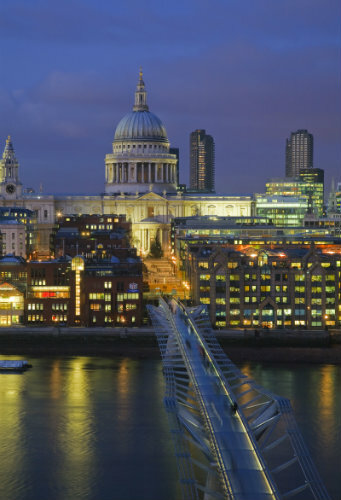 The hotel and restaurants industry is also very popular due to the amount of tourism London generates, with 310,000 jobs in the area; as is the media industry, which is set to further increase. London has been voted number Europes number 1 city for international and national transport links for 21 years in a row; and it is easy to see why. As the 19th most populated city in the world, London is served by 5 airports, 4 of which operate daily flights outside of Europe and are amongst the top 5 busiest airports in the UK with a combined number of 134 million passengers yearly, ensuring that wherever you are in the world, you can reach London easily and conveniently! With 8 main train stations located in zone 1, London can easily be reached by rail anywhere in the UK (and by Paris, with a Eurostar train departing every hour). Manchester and Liverpool have direct trains to Euston station in just under 2 hours; and St Pancras/Kings Cross serves the North East of London with direct trains to Nottingham, Newcastle and Edinburgh (in just 4 hours 30). The western cities of Cardiff, Birmingham and Exeter arrive at Paddington Station, and the South East of England is served by Waterloo. Of all the train stations in the UK, 9 of the 10 busiest stations are in London, with Waterloo the busiest, serving over 94 million passengers each year. Large in size, realistically London cannot be covered by foot only. The London Underground is probably the most famous means of getting around the city, 11 lines run 114,500 miles each year, carrying 1,229 million passengers to 270 stops. Another mode of transport is the bus, of which there are approximately 7,500 vehicles carrying over 6 million passengers each day. If you would prefer to get some exercise, then make use of the many "Boris Bikes" lining the city streets, costing as little as £2 per day! 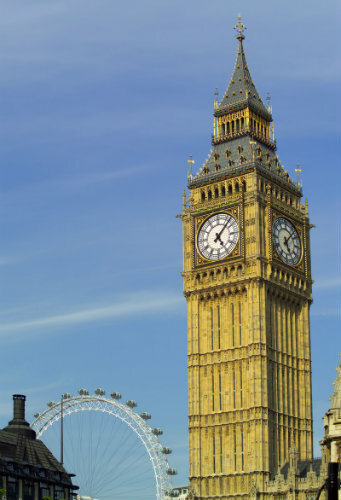 With 2,258 meeting venues in London, the capital has more than double anywhere else in the UK. Such vast amounts mean such choice: 157 can hold over 500 delegates and 54 venues have a capacity of over 1,000; meaning that companies with large parties will find themselves faced with a choice like nowhere else in the country. Londons largest venue, ExCel, has 100,000 metres squared of space, a maximum capacity of 10,500, and 6 on-site hotels! Nevertheless, companies with smaller parties will equally find themselves spoilt for choice (or perhaps even more so! ), with an impressive 909 venues offering rooms exclusively for 30 delegates or less. With almost 16 million international visitors each year, London was the second most visited city in the world in 2012 (after Bangkok); so you can be sure there will be masses of hotels to choose from - 1,000 in total to be exact, offering more than 125,000 rooms. With a staggering 66 five star hotels (more than anywhere else in the country) and 380 four star hotels, extravagance and decadence is most definitely in abundance here. Nevertheless, companies with more modest budgets will still find an array of choice with 340 three star and 136 two star hotels. It is worth noting that as a capital city; average prices are much higher than the rest of the UK, and London has actually been ranked as the 8th most expensive city in the world for hotels. There is no way that delegates on business wont want to spend their free time exploring the city; and the good news is that no matter which part of London you are in, there is always something to do. The British Museum is officially the number 1 tourist attraction; but other well known attractions include the Tower of London, Big Ben, Buckingham Palace and the London Eye. Madame Tussauds and the Dungeons are also a good laugh if delegates are in a group. If you prefer small towns to cosmopolitan cities, then wander around one of the cities many green parks: from Kensington Gardens to Regents Park, all of them offer pretty scenery and the feeling that you are in the middle of the countryside. For shopaholics, London truly is paradise; nowhere in the UK can beat it. Oxford Street is home to the major high street retailers, whereas Harrods in Knightsbridge and New Bond Street offer expensive designer brands. For one off finds, head to Spitalfields market on a Sunday, or Camden on a Saturday. In addition to clothes, you will find many stalls offering internal cuisine at Camden at ridiculously low prices, that is definitely something worth trying! If you thought London was buzzing in the day, then you will see that it really comes alive at night. The many neighbourhoods including Bayswater, Notting Hill, Islington and Chelsea offer their own small selection of restaurants and bars; but the bigger venues tend to be around Leicester Square and Covent Garden, and you will find that a lot of the more sophisticated bars are located in some of Londons top hotels. For a chic clubbing experience, head to either Whisky Mist of Funky Buddha in Mayfair, it is best to get on the guest list to guarantee entry where many celebs and royalty have been spotted partying until the early hours of the morning.